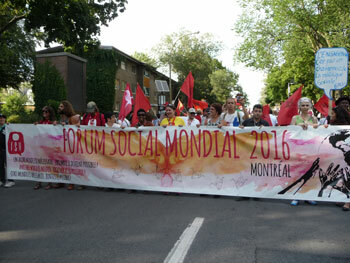 The World Social Forum (WSF) met for the first time in Porto Alegre in 2001. This was an event of extraordinary importance. It signaled an alternative form of globalization to the globalization being promoted by global capitalism, at a time when capitalism was increasingly assuming it is most exclusive and antisocial version: neoliberalism. This was not its first signal, but it was unquestionably its most consistent one. It put on the international agenda the struggles of the movements and social organizations fighting all over the world against the many faces of social exclusion: economic, racial, ethno-cultural, sexist, religious, etc. The WSF was, at the same time, both a symptom and a potentiality of the hope harbored by the oppressed social groups. It emerged as a world vocation in Latin America, because the subcontinent was then the world region where the popular classes were more consistently translating hope into forms of progressive government. Such hope, both utopian and realistic, had been recently reignited in Hugo Chavez’s Venezuela, from 1998 onwards, and would go on sparking with the new governments of Lula da Silva (Brazil) and Nestor Kirchner (Argentina), in 2003, and, in the following years, Rafael Correa (Ecuador), Evo Morales (Bolivia), Manuel Zelaya (Honduras), Fernando Lugo (Paraguay), and Pepe Mujica (Uruguay). With the WSF a decade of hope was inaugurated and, starting from the subcontinent, projected throughout the whole world. Only in the subcontinent made it sense then to speak of “21st-century socialism,” even if the concrete political practices had little to do with the discourses. The great novelty of the WSF and its most precious asset was that it facilitated relations of mutual knowledge among the social movements and organizations involved in all kinds of struggles in different countries and according to historically very distinct political cultures. At the beginning, such an objective was well served by a culture of free and consensual discussion, as well as by the refusal of the WSF, as such, to make any political decisions. Which does not mean that, from the very beginning, there was no political debate among the more committed activists, a debate that became increasingly intense in the course of time. Here are some of the main issues. Could the WSF be a truly world, progressive forum if the big ONGs were in control to the detriment of the small ones and grassroots social movements? 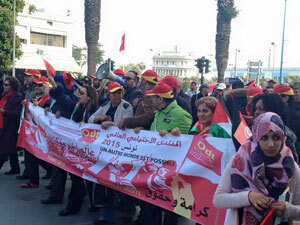 If those in more need for the solidarity of the WSF could not afford to participate? If the dominant forces in the WSF did not fight against capitalism, rather fought, at most, against neoliberalism? Could there be, behind the ideology of consensus, the iron hand of some entities, individuals, or positions? If no political decisions were allowed, what would the point be of continuing to meet and repeat ourselves? Since there were no structures to organize the debates, those who felt troubled by these issues gradually withdrew. Nonetheless, the genius of the WSF was to go on attracting, over more than ten years, new movements and organizations. However, by the end of the first decade of 2000 the international conjuncture had changing in ways that were dramatically opposed to the objectives of the WSF. Undermined by their own internal contradictions, the progressive governments of Latin America were in crisis. US imperialism, which had been focusing on the Middle East for a decade, came back in force to the continent. The first signal was the forced resignation, in 2009, of President Manuel Zelaya, a democratically elected president. It became the first test of a new kind of institutional coup under democratic guise. It would repeat itself in Paraguay in 2012 and Brazil in 2016. Neoliberalism, fully backed now by global financial capitalism, invested strongly against every policy of social inclusion. The financial crisis provoked the social crisis and, as a result, the movements had to focus on national and local struggles. Actually, these struggles were increasingly more difficult because of repression and persecution. Under the excuse of the “war on terror,” the paranoia of surveillance and security rendered extremely difficult even the international mobility of activists, as witness Montreal 2016, when more than 200 visas were refused to activists of the global South. Under such circumstances, what would the viability and usefulness of the WSF be? At a time when not only social policies but also democracy itself were at risk, would the continuity of the WSF be sustainable, a WSF reduced to a mere forum of debate and self-prevented from making decisions at the exact moment when neofascist forces were taking power? Such questions indicated an existential crisis of the WSF. 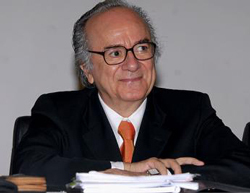 The crisis reached its utmost at the meeting of the International Council (IC) in Montreal, when this organ refused to take a position against the impeachment of President Dilma Rousseff. I left the meeting feeling that the WSF was at a crossroads: either it would change or it would perish. For the past months, I have been thinking that it would agonize and slowly perish. Lately, however, as I watch the dynamism of the preparation of the WSF of Salvador (March 13-17, 2018), I concluded that the possibility of change is there, and that the WSF may yet adjust to the dramatic conditions and challenges of the present time. What Are the Necessary Changes? The IC is hereupon to be composed of permanent members (those who are already and have declared to wish to continue to be permanent members) and an equal number of members elected at the Salvador WSF from among organizers and participants, bearing in mind diversity of countries, cultures, and struggles. Such will be the composition of the IC until the next WSF. The following WSF will have sovereignty to vote other proposals. The IC is an organ for reflection, guidance, and facilitation. It has competence to decide, among several proposals, the venue of the next meetings of the WSF. The decisions of the WSF will be made at the plenary assemblies of the different Forums and will concern the scale and topic that presided over the meeting. The Salvador WSF is perhaps more needed today than the Porto Alegre one was at the time. Will there be conditions not to squander this (last?) opportunity? First published in the Bulletin Intercoll, November 2017. Building another Europe – The Time to Act is Now! 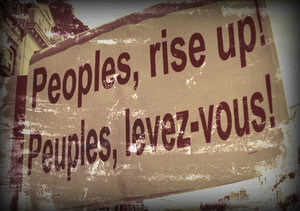 Peoples, united, never shall be defeated!